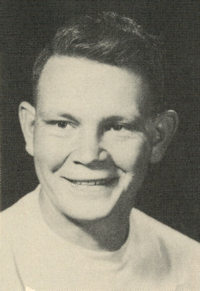 Obituary – Kucera, Marvin Wesley « Perry High School Alumni Association, Inc.
Football 44-49, Wrestling 44-45, F.F.A. 44-49, D.E. Club 48-49. 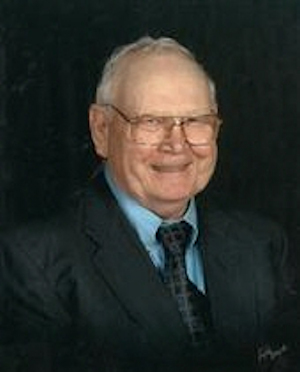 Marvin Wesley Kucera, 77, business owner of MWK Machine Works, passed away August 20, 2009, at Stillwater Medical Center with family at his side. Marvin was born March 11, 1932, in Perry, Oklahoma to Wesley and Lelia (Todd) Kucera. He graduated from Perry High School, participating in football and wrestling. He was a member of Redeemer Lutheran Church, Cushing. Marvin was united in marriage to Elaine Norton on May 18, 1950. Born to this union were Jean, Janet, and one son Dale. On May 12, 1972, he married Pansy Taylor Gerfen. Marvin was blessed to do work that he loved. He was owner-operator of MWK Machine Works. He began working at the shop as a teen. When the owner retired in 1972, Marvin purchased the machine shop with a handshake. He entered work through this same door for 60 years. He was known to his grandchildren and great-grandchildren as “Poppy.” His greatest joy was time spent with them. He was an avid OU fan and his constant companion was Sooner, his Jack Russell Terrier. Marvin also loved farming and spent many relaxing hours taking care of his cattle and 100 acres by his home. It has always been said, Marvin is the same wherever he went, what you see is what you get! Preceding him in death was his first wife, Elaine, his parents, one infant sister, and his niece Sandy Andersen. Marvin is survived by his wife Pansy, sister Florence Wilson and her husband Walter of Marble Falls, AR, three children, grandchild Kristi Kucera, six nieces, and two nephews. Stepchildren are Debbie Jo & Al Stein, Kevin & Priscilla Gerfen, and Jawana & David Harris. Grandchildren are Travis & Jeri Sue Harris, Kyle & Amanda Stein, Heath & Dixie Harris, Autumn & Rance Pappan, and Cord Harris. Great Grandchildren are Dalton, Trevor, and Keri Jo Watts, Maddie Paige and Paden Harris, Jake Harris, and Leyton Stein. Services will be held at 10:30 a.m. Tuesday, August 25, 2009, at Redeemer Lutheran Church with Rev. Mark Duer officiating. Special music provided by Kevin Gerfen, Kyle Stein, and Autumn Pappan. Pallbearers will be Travis Harris, Kyle Stein, Rance Pappan, Heath Harris, Cord Harris, and Dalton Watts. Burial will follow in the Lutheran Church of Our Redeemer Cemetery. The family will greet friends on Monday evening from 6 p.m. until 8 p.m. in the Floyd Family Center, east of the Funeral Home. In lieu of flowers, memorials may be contributed to Redeemer Lutheran Church, 730 East Cherry, Cushing, Oklahoma.